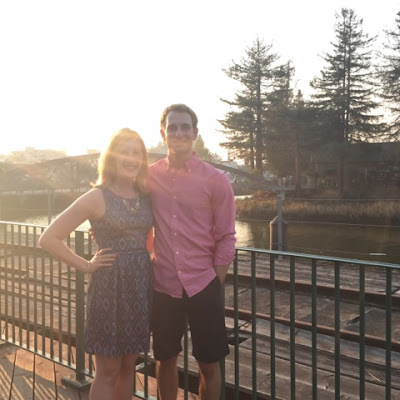 I was with my family for my birthday so Matt and I celebrated the weekend after. We went to Central Market in Petaluma, CA for dinner and it did not disappoint. I've been here a few times before and found some gems like their 1994 Ravenswood Zin. I love their decor. They have lots of antique metal pieces and the whole place feels rustic and homey. They serve a lot of seasonal dishes and I love that Chef Tony comes out to talk to you about what you ate. 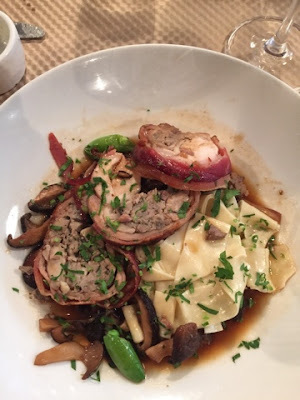 I enjoyed the special: It was rabbit and mushrooms wrapped in bacon over pappardelle pasta with mushrooms and snap peas. It was my first time trying rabbit and it was a wonderful preparation. It was soft and salty and smokey all at once. 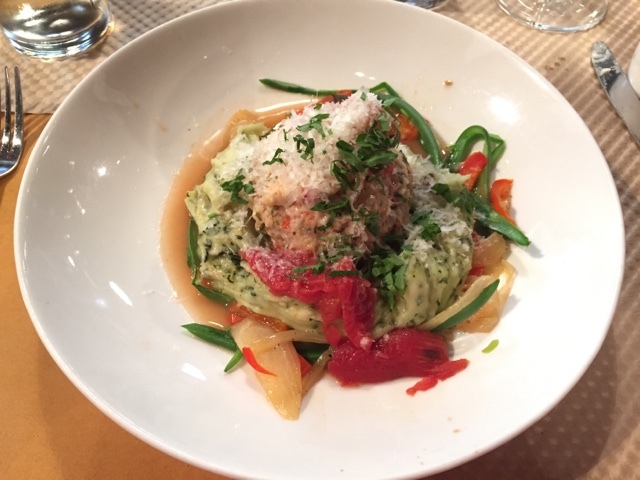 Matt had the chicken bomba which is a giant chicken meatball stuffed with ricotta over a basil potato mash with local veggies. Yummy. We ended with a dessert: a bittersweet chocolate tart with Chantilly cream. Pro tip: They have a good house wines for $9 for a 1/4 L.